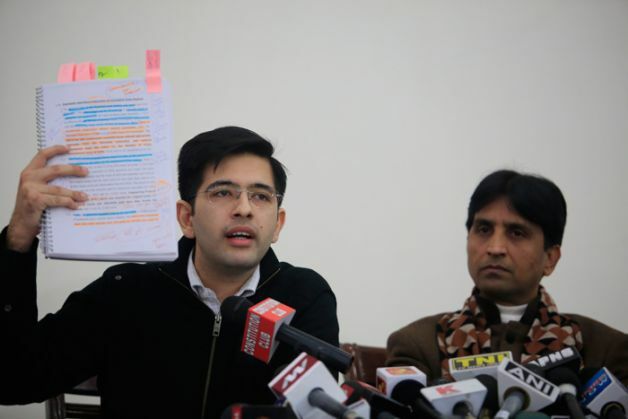 The Aam Aadmi Party, on 17 December, addressed the media at Delhi's Constitutional Club and spoke about corruption in the Delhi and District Cricket Association under the leadership of Finance Minister Arun Jaitley. Citing various reports, AAP alleged that money was siphoned off from the organisation paid to different companies for essentially the same work. This press conference came as a retaliation to the CBI raid on Delhi CM Arvind Kejriwal's office on 15 December after which the party alleged that the raid was conducted to scrutinise files which contained information about irregularities in the DDCA. Anurag Thakur, BJP MP and secretary of BCCI, reacted by saying that AAP was trying to protect a corrupt official by accusing an honest minister. "When Kejriwal ji could not help the people after becoming the Chief Minister, he is trying to grab DDCA from back door. Earlier allegations during the Congress tenure also proved baseless. There is no strength in the false allegations. It is the habit of Kejriwal ji and his party to lie. I believe telling lie cannot mislead the nation," he said. READ NEXT >> YRF announces Dhoom Reloaded, and it could be Hrithik Roshan again!